The Macalope comes not to bury a piece, but to praise it. You can’t swing a 30-pin dock connector cable these days without hitting a pundit wailing about the Apple doom that the current swath of rumors of iPhone production cuts must mean. Not that The Macalope is suggesting you should do that. Anyway, while the furry one maintains that you can’t trust these thinly-sourced supply chain rumors, there are seemingly a lot more thinly-sourced supply chain rumors this year than in previous years. Is it smoke or are analysts just smelling burnt toast again? When you add in a particularly bad turn in the market overall and the threat of tariffs on products made in China, yeah, #AAPL is down quite a bit. Not everyone is buying the doomsday scenario, though. Not the least of whom is Apple vice president Greg Joswiak who, echoing comments the company made all year about the iPhone X amid similar rumors that turned out to be worthless, told CNet’s Shara Tibken that the iPhone XR has “been our most popular iPhone each and every day since the day it became available”. But what does that guy know? Still, he’s not the only one who’s kind of had it with this. Writing for BGR, Yoni Heisler preaches to this particular choir. The Macalope’s not going to pull that stupid website trick where he quotes all the salient pieces of an article someone else wrote providing the thinnest veil of his own comments like “Interesting!” or “You go, girl!” or “I wonder if this is long enough yet that my editor will think I actually did some work oops I didn’t mean to type that.” He saves that for the pieces you shouldn’t read, not the ones you should read. So just go read it. Seriously, why are you even here right now? It’s just The Macalope in a red and taupe striped robe looking at you incredulously. Is it… the robe? That’s a little weird but, OK, fine, he’ll keep typing as long as you promise to go read Heisler’s piece. Look, the horny one has said it for more than a year. Yes, unit sales of smartphones have pretty much topped out. Everyone who wants one has one. But guess what? Apple reads the news, too! It’s true! They even have their own app for the news! It’s kind of aggravating, particularly how on macOS there’s no way to go to the web version of an article, but it exists. The point is, Apple realized unit sales weren’t going to increase dramatically anymore. What to do? Well, if you want to keep making money hand over fist (and they do, clearly), you figure out how to make more money per unit. They did that. No one else did. So Apple continues to see hefty revenue increases despite basically flat unit sales. Even if iPhone XR unit sales are not as good as Apple was hoping, which is still questionable, each unit sold still generates more revenue than Apple was making on its new units of iPhone 8s last year. 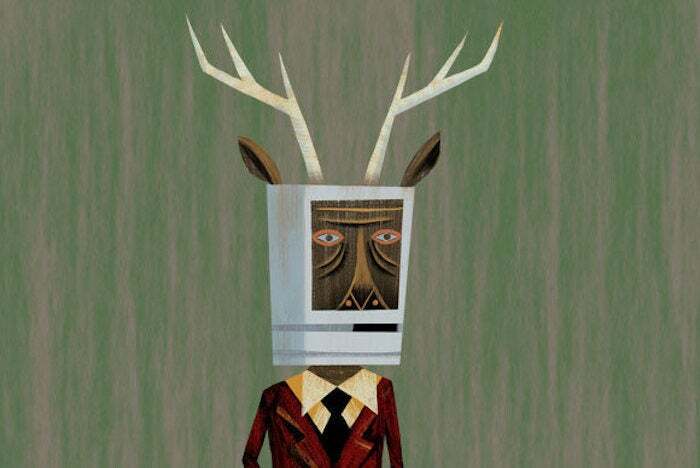 Hey, if Apple ever wants to increase iPhone unit sales by at least one unit, it could make a smaller phone and satisfy the market for mythical beasts with Classic Macs for heads.